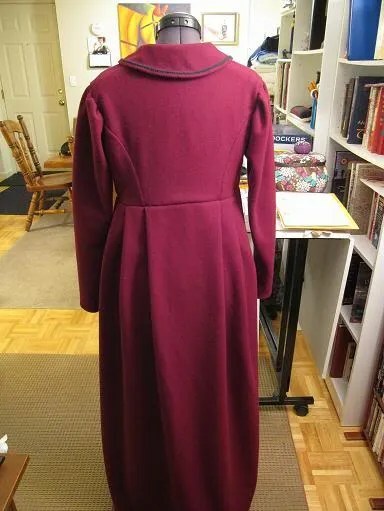 I finally finished my pelisse I started last fall. 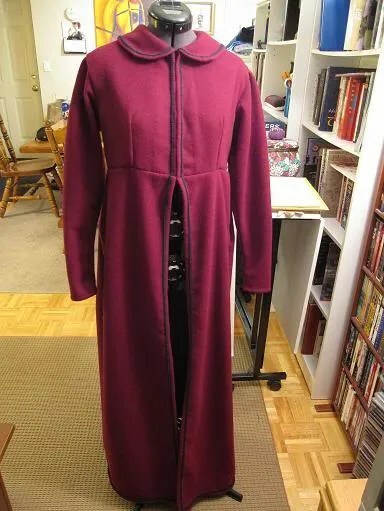 It’s made out of maroon melton wool, and I trimmed it with rayon/cotton braid. I had finished most of it a couple weeks ago, but I just put on the hooks and eyes. 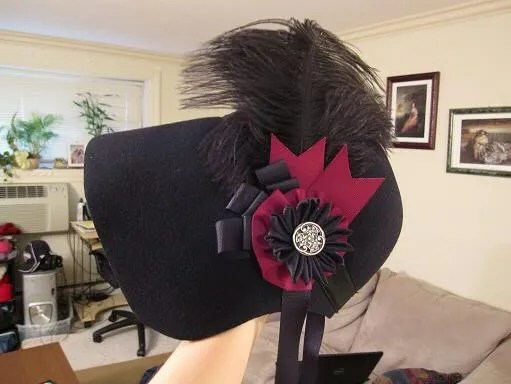 Here’s the bonnet I made to go with it. 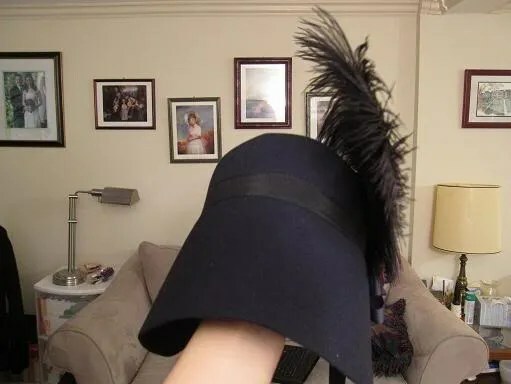 It was a settler-type bonnet originally, but I cut down the brim a bit, put on new ties, and made the cockade/feather decoration. The latter was definitely inspired by the lovely work at House of Nines Design. 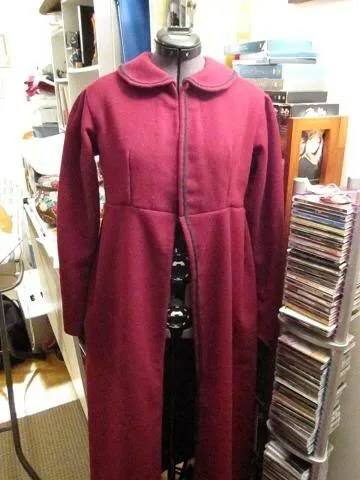 I got back to my maroon pelisse that I started last fall. I’ve made it to the trim stage! 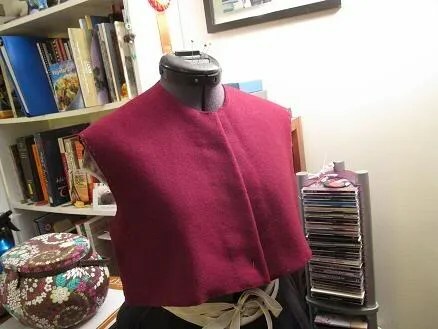 After I got the pattern for my spencer worked out, I immediately started on another one and a pelisse. Here is the mockup. 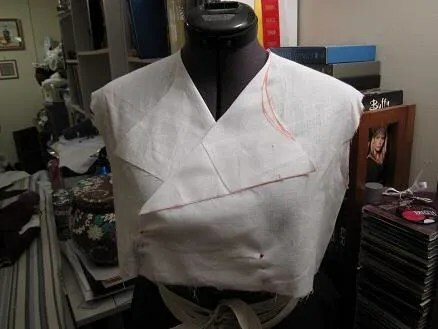 I need to work on the collar next, but I already have a good sleeve pattern. Here’s what I have so far. 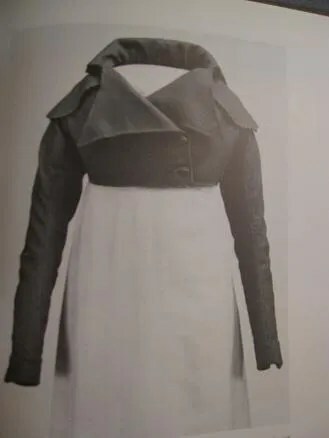 I want to have a folded-over collar instead of a standing one. 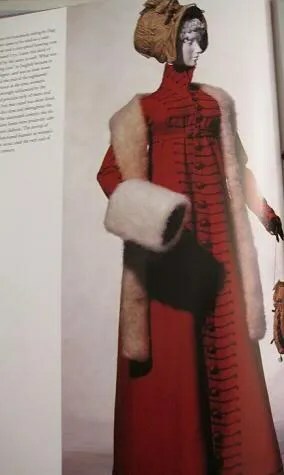 Also, I may arrange the braid differently than on the Kyoto example and have hidden closures instead of front buttons.